(that are not filled with junk) for my kids. And of course they have to taste good! 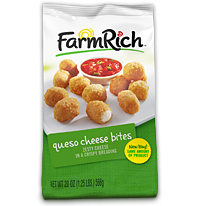 I recently had the opportunity to try out Farm Rich products. because I thought I would eat them ALL! 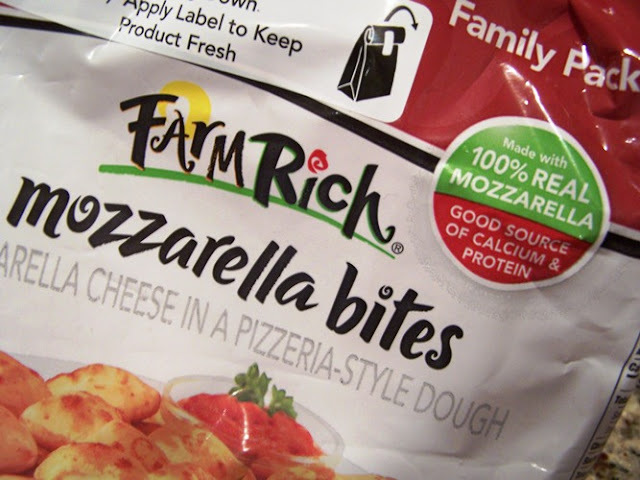 I had previously tried the Mozzarella Bites, so, I knew they were good! Armed with 2 coupons, I headed to the grocery store and picked up 2 packages of Mozzarella Bites to have on hand. The Stuffed Pretzel Bites also looked yummy, but I just had to have the Mozzarella Bites! I knew these would be handy to have for last minute guests or snacks or well for so many reasons. This weekend, we invited a family over for a simple dinner, so I decided to pop them in the oven - super easy 10 minutes and they were done and the mozzarella looked delectable! I served them with some marinara sauce for dipping, just in case...but seriously these things are like popcorn...and good just on their own! Oh, and here is the secret...I made them for the kids, but the adults could not get enough! We did not really share. 1. Super convenient to have in the freezer and ready when yo need them. 2. Super easy to heat up, 8-10 minutes in a 400 degree oven. 3. They are not greasy or soggy after baking. Too many times I have baked something it is is lackluster, but not The Mozzarella Bites (I have made them 3 times now and great every single time!). 4. They taste good and that is super important, right! checkout the Farm Rich recipes! Oh Holly, I just saw these babies yesterday in Harris Teeter's.. and on sale too! Almost snagged em, yet since it's hubby and I and no chiltlin's to scarf these down.. well, I walked away. But I love their schroom's (which weren't on sale at running over 7 bucks a bag here).. so that too I walked away. But with a coupon.. I could be ah, arm twisted into purchasing a bag or two. So it would be their Mushrooms that I'd buy. Hope all is well and thanks for this give away. Thank you so much for this post. I want to let you know that I posted a link to your blog in Creative Busy Bee Craft Inspirations, under the Page 1 post on Aug. 23, 2012. Thanks again. they look so tasty, I think I might try them out! Thanks for sharing! I always look at the Farm Rich products in the freezer section! I'd love to try their mozzarella sticks. The queso chees bites sound yummy! 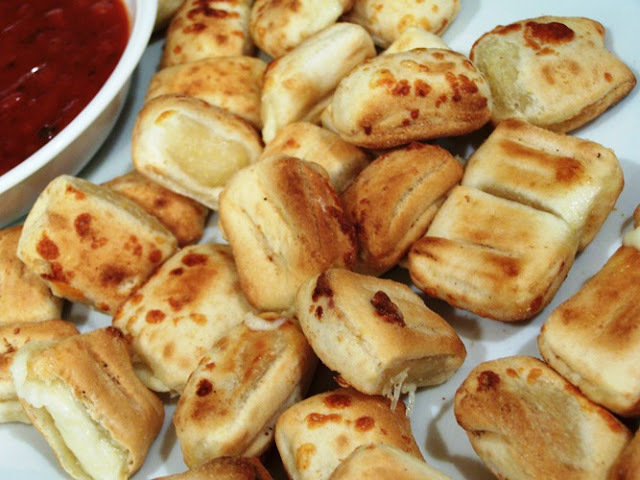 We love the mozzarella bites and the cheese sticks! Holy smokes! I'd eat them all!!! 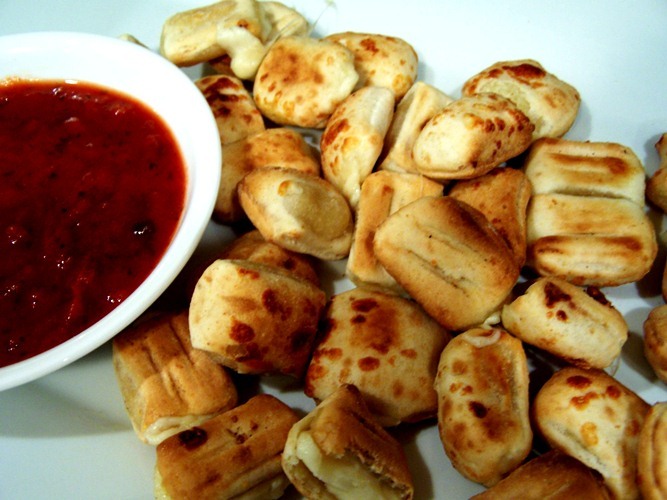 The mozarella sticks or mushrooms or mini quesadillas. It wouldn't be pretty. Thanks for the chance!!! I would like to try the Queso Cheese Bites!! I would love mozarrella bites. Love their stuffed pretzel bites!